Plant proteins, zinc, Omega hunt... Are habits, culture, education, memories, beliefs, second nature? 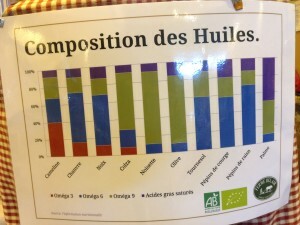 - Fruitiers "originels" à fruits doux: pour forêts tempérées comestibles, permaculture. 1 / the meat is a (DIS) advantage diet for strength and resistance? 2 / is our constitution anatomical, dental and digestive frugivore, herbivorous or omnivorous? "." 3 / can it satisfy the protein and zinc with fruit? 0 / tastes can be influenced by beliefs, memories of emotional,… the food is may be the most passionate subject both its 'sacrosanct' habits are difficult to challenge. This woman idealizes the cru and is attracted by the cooked: "if of course, raw eating you amply satisfied, I do not see any problem. On the contrary, so much better!" I met people who live to 100% raw diet, others who for reasons that I've not explored are torn between what they consider ideal and what they consider bad. I appreciate the fruits and other things I like less (cooked, for the more austere situations of shortage) or not at all (meat or fish, which I did not eat a crumb for decades, by taste and evidence, which selects the tolerant and open relations to this difference which I develop every advantage; I respect my tastes, whatever may be the consequences on the social plan, and few people exclude actually because we do not have the same taste). The Charter is not personal obligations… And I do not know at the time where you ask yourself the question, how many inhabitants of the ecohameau would be either omnivorous, vegetarian, vegan, or even crudivegan. For me something natural and not a precept. What do say cultures? adaptability? our sensitivity? the top athletes? dietetics? our Anatomy? Hunting is prohibited here even though we may recognize the hunters have their consistency. They assume their meat needs, without delegating to others the task of killing. The animals that they kill them, had the advantage of having a free life. Finally, admittedly the flush have allowed humanity to survive, for a "short" glacial period. And, even today, the ice of Greenland, where whole families feed exclusively (wild) meat and yet reach a life expectancy of 40 years. In similar cold conditions, himalayiens, including the Hayes peoples live 120 years with a vegetable food. We are just a few who so admire the beauty of the life that we don't like to hunt or kill. We prefer the Sun and taste of fruits (3) balanced proteins. Humans have Anatomy and a sensibility that seems exclusive to constitution frugivore animals or herbivores, which hunt not naturally. Humans can chew in live animals over a friendly meal, there need Fireworks: separate slaughter, preparation and meal (there are the job, and then the trigger…); On the other hand, this device allowed him to survive the ice age (before which he ate no meat). First and foremost, I invite to type "famous vegetarians" in google or another search engine, and see that there are many sports several times world champions that have marked history. Steadfast but also body-builder and sprinter. Dietitians with a more theoretical approach, should go very far in their science to everything "explain". After decades of research and contradictions, today most give a vegetable diet to high level athletes. There is no need to balance the amino acids in every meal, because they store is 40 days and more. I believe what I see or I see what I believe? When you have a bias, a "received idea", mind filters to only "see" only that which confirms what he believes. Example: a person is convinced of dietary meat benefits, if he sees a skinny vegetarian? It will think "it is because he eats no meat", while if it sees an omnivore lean, it will not think that it is because its power. , here is the protein content of the fruit being wealthy. so per day, 3 to 4 kg of these fruits fill the official protein needs. Annonas (Cherimoyas South-Spanish, Asimines), French and bananas and dry cold Durian proteins which, coming by boat, are among the foods the + advantageous in terms of CO2 balance: to see the end of this topic. It is better not to mix fruit has a meal cooked to avoid intestinal discomfort. Conversely, most fruits are poor in proteins, around 4-6 gr/kg, and even 2 gr/kg of Apple (which has other benefits, like the pectin for the detox). Red or yellow pepper (but not green), is the most rich in vit C (2000../kg, or 4 times + orange) and has the advantage to be alkalizing. Gogi berries have lost most of their vitamin as it dries, and it would be illusory to want to cover its needs with some gogi. We need vit c, our organization can do itself, unlike other animals. Omega-3: in the cherimoyas, the pumpkins. If we eat lawyers and other oils most too rich in omega-6, must be compensated with oils such as omega 3 are more numerous than omega-6: as the oil of camelina or chia. Designations "rich in omega 3 '' are sometimes misleading, because if there is a majority of Omega 6, their benefit is canceled. I note 2 ancestral seeds, not "selected" or impoverished in a perspective of productivist agriculture: camelina (40% O3 vs. 20% of O6), the chia (65% O3 against 20% of O6 http://fr.wikipedia.org/wiki/Om%C3%A9ga-3) and flax. These oils must be raw and they go rancid quickly, must be very consuming them fresh, and keep them cool and away from light. Their well chewed whole seeds or pureed seem good and at the same time bring their proteins if they are well ground: when swallowed whole, they would remain entire up out entire. I'd hate to moralize other foods, but show that the banana is the most (and nuts) eco among trade protein foods, because I see that many people deprive themselves of bananas by ecological guilt, (or fear grow while without bread do not grow; Nature or in smoothies…). Equal calories, bananas made homegrown produce 4 times less CO2 than sandwiches! 2800g CO2: asparagus imported by air-powered.. .and these figures include 50 grams/mile for the manufacture and maintenance of the bike! by removing these 50 g., the difference would be even more marked (ecological bananas compared to other foods of commerce). The CO2 balance (calculated with very many parameters) to have at home in france 18 kg of exotic banana, is equivalent to 60KM by car. Bananas do not require greenhouses, labour, packaging, cooking or preparation! and the fast-growing and abundant banana take the carbon from the air to make humus. And they are always transported by boat (100 times less than production of CO2 as the aircraft). They avoid any disputes related to the kitchen and the tableware. If the balance sheet in terms of "need in Earth's surface", reports are consistent and yet more contrasted: a bowl cereal asking for more area than a banana, livestock asking wasting many cereals, not to mention that it produces methane because of animal droppings, and methane contributing 25 times + greenhouse CO2. In france, the variety Helen's can produce good bananas to seeds, and withstand winter temperatures of-10 ° C.